As promised, my essay on coffee. I did this work sometime back, none-the-less I wrote it and was given a really great grade (Plus, I was my teacher's favorite, truly, I twas!). "Latté Dahl" is an old fashioned term, an expression similar to "So There", needless to say it is no longer used. In today's world, if someone used the term Latté Dahl, others might ask, "What kind of coffee is that?" Then I would have to explain "Latté Dahl, So there", and they probably would feel that I was not being very friendly at the moment I said it. So, I would have to go into detail of expressions of days gone by and I might even throw in a few others such as, "Groovy", and "Far Out", and "Outta Sight", and they would wonder at me for speaking in terms and phrases they just do not understand. Well, "Latté Dahl", enjoy the read and by the way, make mine a Caramel Frappuccino. Woohoo! It is more than just a cup filled with hot liquid; it is my coffee, my jolt of energy to make it through the day. After the first cup, I am ready to face any challenge that comes my way. The gears in my brain run smoothly as they are oiled from the beans that were ground to make this savory drink. I can say good-bye to the sluggish feeling and say hello to the alertness that only the caffeine in my tasa (cup) can bring. At the sound of the alarm my sleep is interrupted. I am neither ready to wake up nor desirous to roll out of bed. While I hit the snooze button, I promise myself, "Just ten more minutes; then I'll get up." The annoying sound of the alarm reminds me of my promise and tells me to throw the covers off. I lack the energy to throw covers anywhere. Coffee, I need a cup of coffee. I follow the robotic path I take every morning to the kitchen. I watch the coffee and with creamer and cup in hand, I desperately moan, "Hurry." As I finish my first cup I begin to revive and am energized enough to get dressed and drive to work in rush hour traffic. By noontime, I am bouncing off the walls because I have drunk three or four cups since my morning began. Caffeine triggers the endurance and gratification of my mind (McCloud). That must be why coffee is my first thought in the morning. The coffee scene can be an expensive luxury. I did not stop with just buying regular coffee; I bought Starbucks coffee and I bought the different coffees they offered: smooth, bold, Italian, French roast and the seasonal flavors filled our freezer. 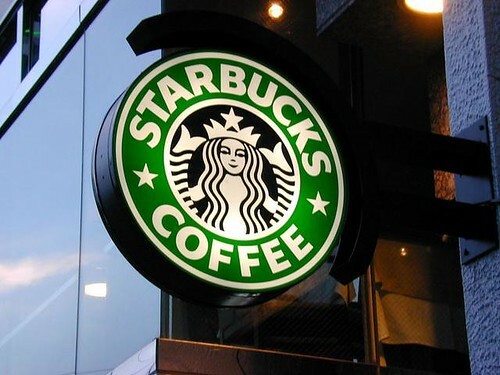 Even though coffee was in abundance in our home, we would visit the Starbucks store to buy a "Tall" or "Grande". I purchased my coffee pot/machine from Starbucks and they recommended we use the brown cone-shaped filters saying these worked better than the white-cone shaped ones. We treated their suggestion as the rule. The luxury cost was high, but we did not mind the expense. We cut back in other areas but not with our coffee. In wanting to impress our friends with our being up-to-date on the coffee scene, I would invite them over for lunch or dinner anticipating someone might want a cup of coffee. With my coffee machine I could make lattés and cappuccinos and on a hot day serve my guest frappuccinos. Our conversation would eventually be centered on coffee. We spoke of French coffee pots or the new coffee roaster that lets you roast your own coffee beans. We aimed high in the coffee world. According to American Studies, today’s coffee society is fashion minded. It dictates what we do, think, how and where we spend our time. Since my financial situation has changed, instead of buying Starbucks, I am buying store brand coffee; I am amazed at the money I save. Changing my intake of the caffeine beverage increased my wealth (Knarf). I still entertain and serve coffee after dinner but the status I am enjoying is that I have friends and our conversation is centered on the newest addition to our families (mine being puppies) and not the usual coffee-grind. My budget is limited but it still affords me the privilege of enjoying a cup of coffee every morning, and I still get the “Bing!” as my eyes open and the “Oomph!” as my brain begins to rev-up with every swallow I take; so, Latté Dahl. McCloud, Linda. There are Benefits to Caffeine.” Associated Content. 22 February 2006. Web. Glendale Public Library. 6 July, 2009. American Studies, “Who Drinks Coffee.” N.P. Web. Glendale Community College. 8 July 2009. Thank you, Mary Frances. You are a treasure! Ahhhh so those are the pics you wanted to use...LOL! Thank you!!! :)I do love coffee too!! !